— When we read about Herod beheading John the Baptist, we see the fireworks when the Kingdom of God and the kingdom of this world clash. How can we use this story to prepare us for these inevitable clashes in our lives? There were two brothers. Ronald was 11 and everyone called him “Ron.” he was the oldest in his family. Ron had a brother named Ethan. Ethan was 9 years old and he had a knack for getting into trouble. But since he was the baby in the family, he usually got most of the attention. Ron and Ethan’s mom Helen was split up from their dad, Craig. Craig lived in Upstate New York with his new wife and kids. Craig always doted on Ethan because he was his favorite. As you can imagine, Ron did not like that very much! But Ron got lots of attention from mom because Helen never remarried, and Ron was her “big helper” and helped out Helen with lots of tasks. She needed the help because she was working full time as a dental hygienist and raising two boys on her own. Ron would make sure Ethan got off the bus and did his homework every school day. Ron would also help with doing the dishes and taking care of the yard. Ron took great pride that he was the “good one” in his mother’s eyes, and he secretly loved it when Ethan got in trouble at school or at home, which happened quite often. Ethan was a bit of a trouble maker. That year for Halloween, Ron and Ethan convinced their mom to take them trick or treating in three different neighbor hoods. They each filled up a pillowcase and a half with every kind of candy you could ever want! When they got home, they were so excited, they couldn’t even stand still! For an 11 and a 9 year old, this was the haul of a lifetime! But before they could even finish their victory dance in the living room, Mom laid down the law. “Listen up boys. We are going to put one of the big Iced Tea jars in the pantry and I am going to empty these bags into the jar. The rest stays in a box until the jar needs to be filled again. Each day, you get to pick one piece of candy from the jar each. Do you understand me?” “Yes, mom” said the boys. Their parade had just officially been rained on. They each got to eat one piece of candy that night and went to bed. Over the next few weeks, the boys would ritually get up after dinner was over, drag the stepladder into the pantry, and climb up and carefully select the perfect piece of candy from their stash. That was dessert. Helen was furious. “Ethan, I can’t prove it was you, but I know you did it.” “MOM! It wasn’t me!” “I doesn’t matter. Both of you – no screens today all day.” “But Mom, its Saturday! !” Both kids were heartbroken. Now Ethan, may have been a trouble maker, but he was clever. He knew he didn’t take extra candy so it must have been Ron. Ron usually woke up early and Ethan usually slept until the last minute possible, so Ethan thought of a plan. Tomorrow morning, he would sneak downstairs while only Ron was awake to see if he could catch him in the act. Sunday morning, Instead of rolling over and going back to sleep when Ron got up, Ethan just pretended to be asleep. Sure enough, 10 minutes later, Ethan thought he heard Ron grabbing the stepladder from the kitchen. Ethan quietly tip-toed down to the kitchen and poked his head into the pantry. “Aha!” he shouted! There was Ron up on the ladder, reaching into the candy jar! Helen heard Ethan’s shout and started to walk briskly down the stairs. The boys could hear the thump-thump of her feet as she approached. Ron was terrified! He tried to get down and put back the ladder, but Ethan blocked his way. At this point mom was almost down the stairs! In a panic, Ron grabbed a can of yams off the shelf and smacked his brother in the head with it, so he could put the ladder back. He barely got the ladder back and the candy in his pocket when his mom stomped into the kitchen. “Ron, what is going on here?” “Nothing Mom.” “Where is your brother.” “I dunno,” Ron shrugged. Later, at the hospital, the whole story came out. Ethan woke up a couple days later, but he had suffered a serious head trauma. In his panic, Ron had hit Ethan really hard, and had fractured his skull. Ron healed, but he had lasting brain damage from that incident. The family was never the same again. The whole thing was a terrible tragedy. You might be shocked at how Ron and Ethan’s story turned out. If that is the case, I do not apologize. My goal was to give some insight into our shocking and terrible scripture passage this morning. John the Baptist, through an unfortunate series of events, ends up getting his head cut off and served on a platter! That is shocking and terrible. We often forget just how shocking it is because it is a story we read out of the Bible, and so it can seem disconnected from reality. But it is awful! John lost his head! I named this sermon “saving face”, not to be coarse or ironic. 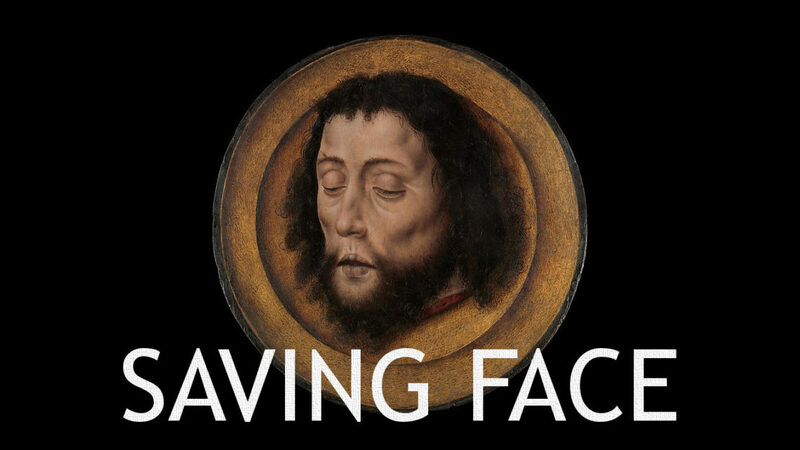 It is a good title because “saving face” is what lead to John’s grisly fate. And if we are not careful, it will cause us to make bad choices, and lead us down a path of sinful behavior that could have serious consequences. Look at what happened to poor Ron when Ethan tried to “save face” with his mother, but covering up his candy theft! First, let’s all agree on what saving face means. I am defining “saving face” to mean taking actions to avoid humiliation or embarrassment, to maintain dignity, or to preserve reputation. Second, let me say that saving face is not always a bad thing. It is good to avoid humiliation or embarrassment of yourself or others. It is also good to maintain the dignity and reputation of yourself or others. The problem with saving face comes when you value reputation or appearance over truth and justice. In our bible reading today, Herod never set out to murder John the Baptist. We know this from the scriptures. Matthew 14 says that Herod was afraid of the crowds who considered John a Prophet. So Herod threw him in Jail to keep him from causing trouble. In Mark, all we read is that Herod knew that John was a righteous and holy man. Either way, Herod didn’t want to execute John. But Herod’s attempt and desire to save face, led him down a sinful path that led him to murder John the Baptist! He got caught up in the moment, and made a foolish promise to Salome to give her whatever she wanted. She of course, because of her mother, asked for John’s head! Because Herod cared more about preserving his reputation and dignity and avoiding embarrassment than he did about truth and justice, he was afraid to change his mind. Even though he was the king and could have done so if he chose to. Herod’s attempt to save face led him to murder. What if Herod had instead, done what he knew to be right and just according to God’s laws? From the looks of it, John may have convinced him to repent and follow Jesus. Herod could have been a powerful follower of Jesus. Herod could have laid up for himself countless treasures in heaven. But because he would rather avoid embarrassment and a bad reputation, he is instead the guy who everyone in the world remembers as the weak king who cut off John the Baptist’s head. What if Ron had done what he knew was right and confessed to stealing candy? His family might have been in much better shape. At the very least, his brother Ethan would not have brain damage. Ron was afraid that he would be embarrassed and that his reputation with his mom as the “good son” would be ruined by his lies and candy stealing. In an attempt to save face with his mom, he nearly killed his little brother. No matter how much we try, we are human beings and we all make mistakes. If these mistakes become public knowledge, people might think poorly of us. We are all afraid of losing face with the ones that we care about and think that we are good. In a pinch, it is very tempting to throw truth and justice out the window in order to save face. But there is one thing that can help us avoid the trap that Ron and Herod fell into. We can remember the simple truth that we are only Good because God says we are good. God’s opinion of us is the only opinion that matters eternally. There is no need to put on airs, or keep up appearances in the Kingdom of God. This is the good news for us this morning. Because of Jesus’s death and resurrection, we know that God will accept us no matter how many mistakes we make. The approval or opinion of other people means very little next to the opinion of God. There is not need to save face at the expense of justice and righteousness. Even if it will cost you embarrassment or reputation, admit the truth of who you are. God knows we are all sinners, and most people probably at least suspect as much. Confidence that God loves us just as we are, and thinks we are great is the antidote to making horrible mistakes while trying to save face. It is better to be just and true and honest about yourself rather than saving face by making bad choices. If Herod had believed that God’s opinion was the most important, perhaps he would have refused to kill John the Baptist, and great things may have happened. The same is true for 11 year old Ron. If he had been confident that God thinks he is a special, loved person, perhaps he would have not felt the need to hide his candy theft, and his brother many not have been damaged for life. God always values truth and righteousness over reputation and appearances.